Violet is a F1 hybrid feminized indica dominant Marijuana strain of intense colors, great adaptability and ease to grow. 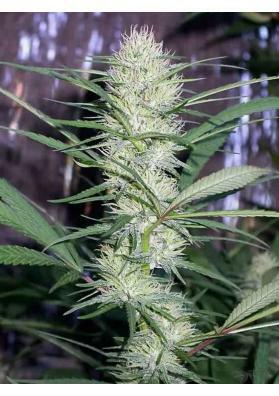 Violet is a F1 hybrid feminized indica dominant Marijuana strain from Ace Seeds being ideal for growing in any kind of culture media and showing purple and red colors at the end of the flowering period. Violet was created through a hybridization process involving two strains of Violet, one from Malawi and the other from Pakistan Chitral Kush. The resulting plants grow in a compact way producing a higher flower/leaf ratio. This strain provides an average effect being adequate for any time of the day and hitting both the brain and body. Violet can be grown in colder areas and is highly resistant against fungus and diseases, supporting also warmer areas. The amount of fertilizers is properly assimilated. The taste of Violet is fruity, tasting like red berries or berries with hints of balsamic flavors.